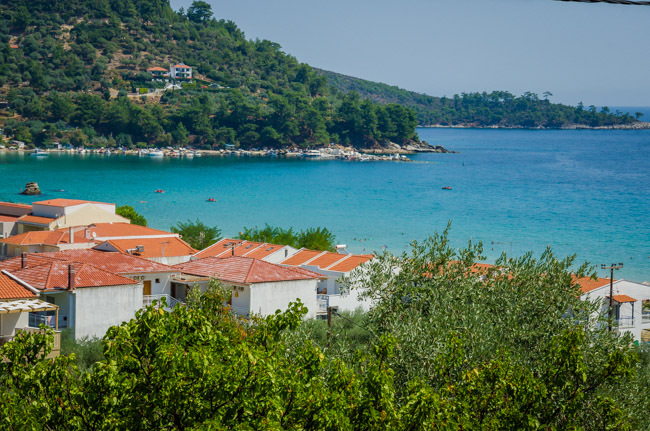 welcomes you before the splendid beauty of Golden Beach on Thassos! 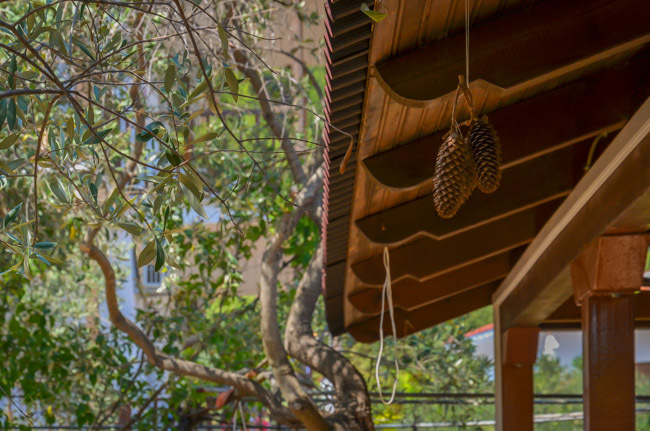 Nikos Rooms were created as the result of our immense will for hospitality since our small family business feels like an extension of our own home. 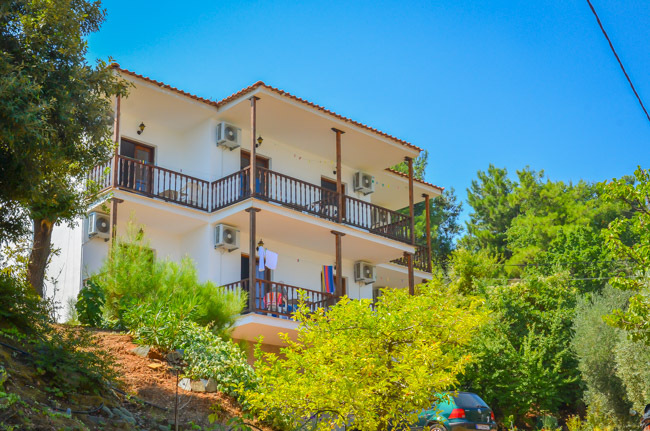 If you are interested in a relaxed, tranquil atmosphere among the verdant, mountainous environment and at the same time only 150m from the crystal clear waters of the most beautiful shore of Thassos island, Golden Beach, then you’ve just discovered your ideal accommodation. 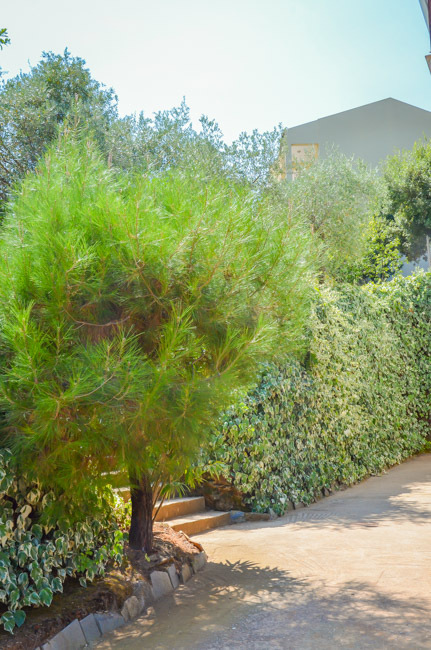 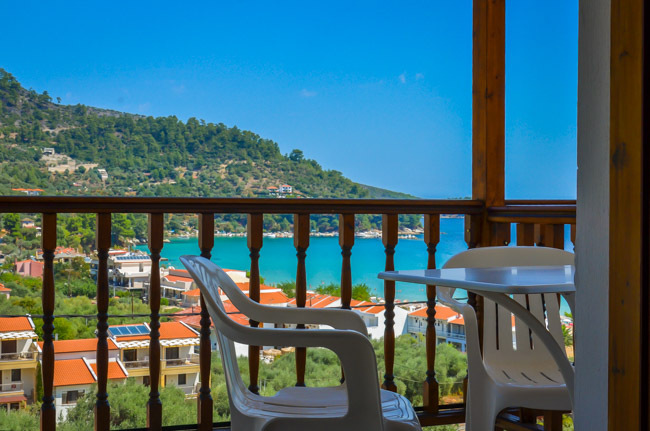 Nikos Rooms consist of 10 comfortable double rooms with a panoramic view of either the turquoise waters of the Aegean or the silver-green of the pine trees and the virgin natural environment of the emerald island of Thassos. 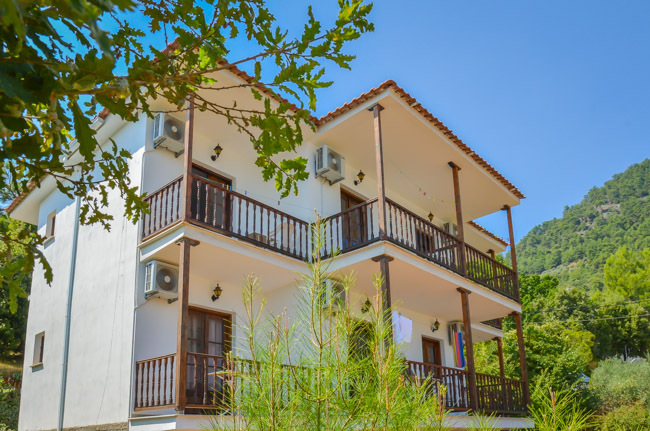 With an immediate access to the vibrant life of the village centre, yet preserving the distance necessary for a relaxation resort, Nikos Rooms is amongst the best choices of accommodation near Golden Beach, as well as on Thassos island!